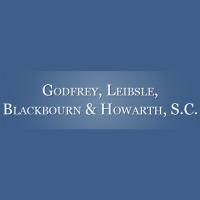 Lisle W. Blackbourn is the President and Managing Partner of Godfrey, Leibsle, Blackbourn & Howarth, S.C., and chairs the firm's litigation division. Lisle earned his law degree from Marquette University Law School in 1982, where he was a member of the Marquette Law Review. Lisle has received board certification from the National Board of Trial Advocacy (NBTA) as a Civil Trial Specialist. NBTA is accredited by the American Bar Association to provide board certification through a rigorous application process and an exacting set of standards and examinations on a nationwide scale. Board certified trial attorneys engage in litigation of civil controversies before state and federal courts. To become board certified, Lisle was required to pass the NBTA written examination, which covers trial law, civil procedure, evidence, and ethics. The exam is written and graded by attorneys and law professors. The NBTA also requested submission of confidential performance reviews from judges before whom Blackbourn had appeared, and from attorneys with whom he had worked. NBTA reviewed samples of legal briefs Blackbourn had written for scholarly content. Blackbourn was further required to submit proof of participation in at least 100 jury trials and other contested matters as lead counsel, to demonstrate a concentration of his practice in trial law. The NBTA board certification process is designed to identify lawyers who possess an enhanced level of skill and expertise in trial advocacy, and who have demonstrated superior professional competence. Nationally, only about 2200 attorneys have received civil trial board certification to date. Lisle is a Fellow of the Litigation Counsel of America, a national trial lawyer honorary society whose membership is limited to less than one-half of one percent of American lawyers. Fellowship in the LCA is highly selective and by invitation only. Wisconsin's LCA Fellow delegation includes only 58 lawyers and judges. Fellows are selected based upon excellence and accomplishment in trial law, both at the trial and appellate levels, and superior ethical reputation. Lisle has been named a Wisconsin Super Lawyer by the Wisconsin Super Lawyers magazine. The Super Lawyers listing is based upon 12 indicators of peer recognition and professional achievement - things like experience, verdicts, clients, honors and awards. The Wisconsin Super Lawyers listing represents the top 5 percent of the lawyers in the state. Lisle has received an "AV"® rating from the prestigious Martindale-Hubbell Peer Review ratings service. Under this worldwide lawyer rating program, individual attorneys are reviewed in confidence by their peers. Grades are given for professional ability and ethical standards. Lisle has been awarded the AV® rating by his fellow lawyers. This is the highest rating available, reflecting Lisle's "preeminent" legal ability rating and his "very high" ethical standard rating. Lisle has maintained an AV® rating for over 10 years. Lisle has developed a comprehensive civil trial practice, concentrating in complex business, corporate, and land use litigation, along with extensive experience in plaintiffs' personal injury matters. Lisle has achieved successful results for many clients, large and small, commercial and individual, and has appeared in state and federal courts throughout the United States. 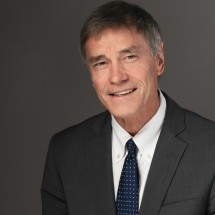 Lisle's recent experiences include representing a corporation in unfair trade practices and trade secret litigation against a marketplace competitor; representing individual shareholders regarding breach of a stock redemption agreement; representing a municipality with regard to land use, zoning, and constitutional law damage claims; representing landowners in the enforcement of restrictive covenants; representing corporations and individuals in professional services malpractice claims; and representing individuals and families victimized by personal injury resulting from negligent conduct. Lisle is licensed to practice in all courts in Wisconsin, including the Federal District Court, Eastern and Western Districts of Wisconsin. Lisle has also been admitted to practice in the Federal District Court for the Northern District of Illinois and the Federal District Court for the Northern District of Ohio. Lisle is a member of the Walworth County Bar Association (President 1995-1996), State Bar of Wisconsin, Wisconsin Association for Justice (formerly Wisconsin Academy of Trial Lawyers), and the American Association of Justice (formerly Association of Trial Lawyers of America). Lisle is a member of Geneva Lakes Family YMCA, and serves on its Board of Directors; Lakeland Medical Center Foundation (Board of Directors 1993-2000); and Elkhorn Area High School Scholarship Foundation (Board of Directors, 2000-2006). In his free time, Lisle enjoys coaching young people participating in Elkhorn Area School District and Lake Geneva YMCA sports programs. Marina Bay Boat Company Inc.